High Pressure Boilers continues to be the leading resource for preparing for high pressure boiler licensing or facility operating engineer licensing. 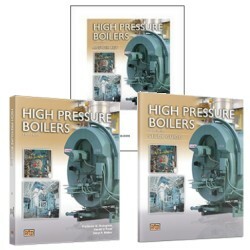 High Pressure Boilers provides a comprehensive overview of the safe and efficient operation of high pressure boilers and related equipment. The latest combustion control technology, as well as EPA regulations and their implications, are included in this edition. 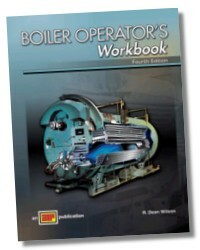 This edition has been reorganized to provide a systems view of boiler operation. 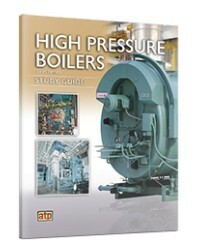 All aspects of high pressure boilers are discussed and illustrated, and a comprehensive glossary and appendix provide helpful reference material. This textbook is designed for both learners preparing to obtain a boiler operator’s license and for boiler operators intending to upgrade their skills. 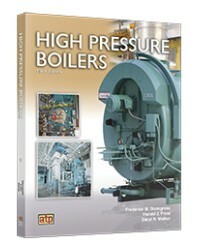 Contains answers to all questions in the High Pressure Boilers Book and Study Guide. 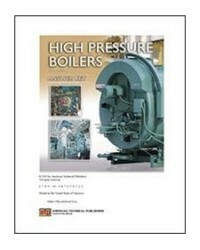 High Pressure Boilers Study Guide is designed to reinforce the concepts covered in High Pressure Boilers. 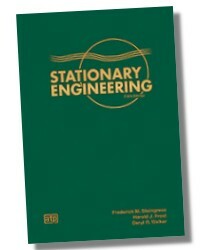 It is intended as a supplement to the textbook and parallels its organization by continuing the systems approach to studying boiler operation. 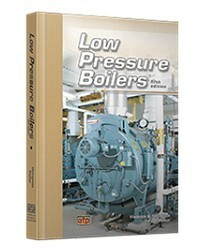 Each chapter is divided into sections, with questions and applications that reinforce the knowledge of boiler principles presented in each chapter of the textbook.